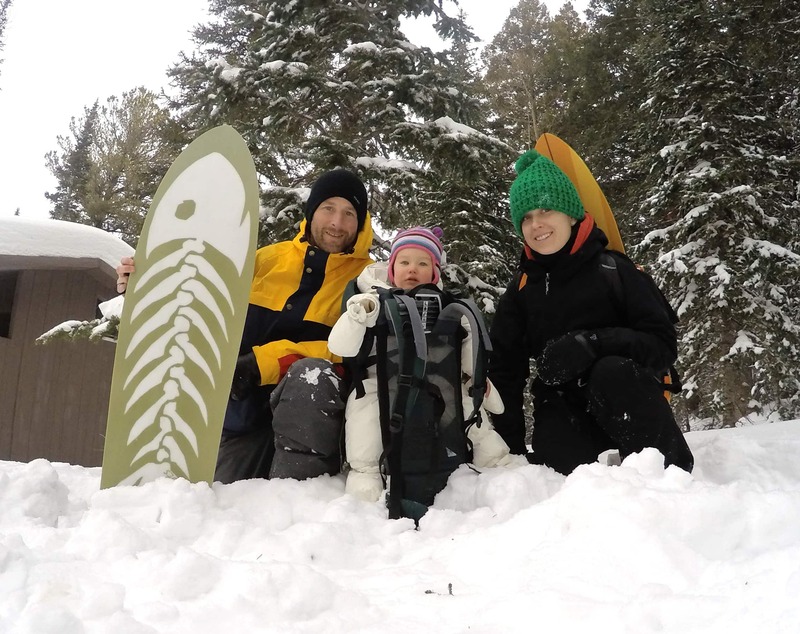 The Family that Powsurfs together…. Like any father, you want to show your children all the best things in life. So within the first year of life my daughter Eden was quick to experience skateboarding, playing at the beach, camping, being tossed in the air and when winter arrived.. powdersurfing. Before she could even walk Eden had been hitching rides with me on a powsurfer and she absolutely loved it. 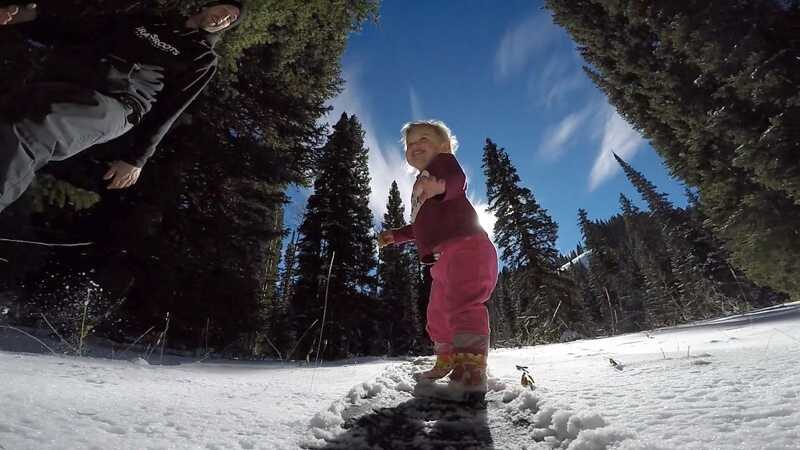 Sure there’s the struggles with cold hands, wet feet, frozen boogers and hiking in snow but when she’s flying down the mountain on a powsurfer she’s all smiles and squeals. At 1 year old she took her first rides and she just lit up with joy. 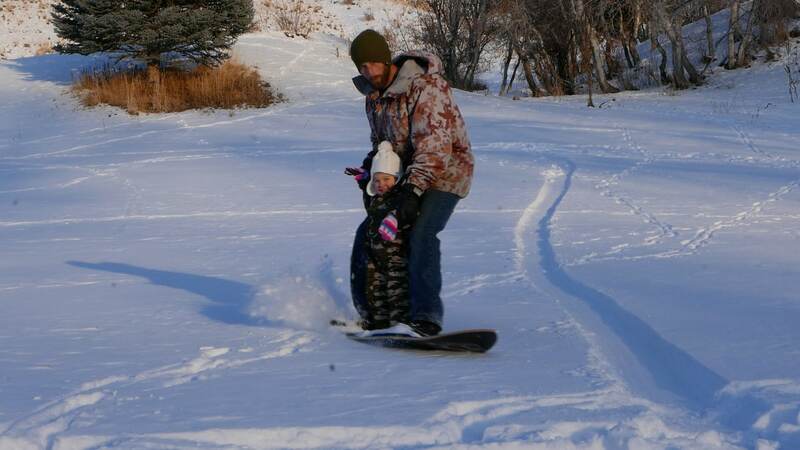 At 2 years old she was making solo runs, just going straight of course and on mellow slopes, but there’s nothing like watching the pure joy light up your child’s face as she rides down the hill and to watch her enthusiastically hike thru knee deep snow (knee deep on her) to get more runs was very impressive. This gives me great hope for her future. She knows whats good, and she is willing to work for it. That is a foundation lesson to last a lifetime. 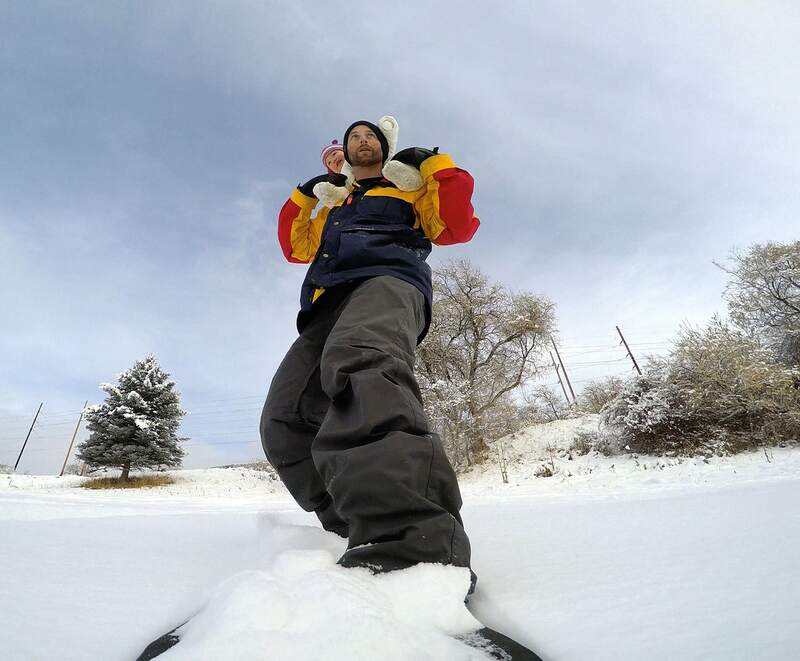 Powsurfing is most certainly for kids and it is a great way to introduce the youngest children into snowboarding. 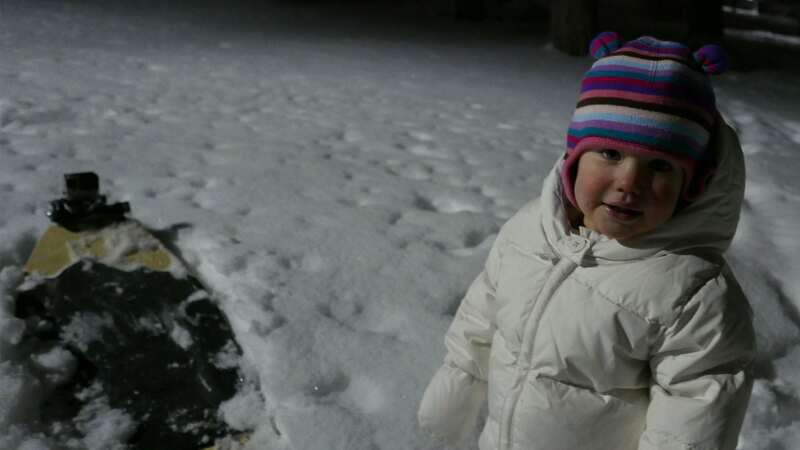 It allows them to learn balance right from the start and gives them a simple way to enjoy snow and hills. They are free from distractions and best of all they are not trapped into awkward bindings and forced into the chaos of a ski resort. Best of all it’s a great time for kids and parents, and once you own a proper powsurfer it doesn’t cost a dime. Grassroots Powdersurfing is proud to be the first company to bring powsurfers to the market nearly a decade ago and we are happy to be the first company to offer powsurfers designed for riders of all sizes. Check here for our selection of children and youth sized boards. Whether it’s on my shoulders, between my legs, or solo, she’s beaming with joy. In my opinion, time spent with your kids is the best time and when you throw powsurfing into the mix it’s off the charts. I couldn’t be happier sharing my passion and my creations with my little creation. Shred on Edie!